Althusser locates the emergence of ideology in an account of the functioning of capitalism. As a social system, capitalism has to not only produce, but also reproduce its conditions of production, not simply in terms of each firm but across the system as a whole, to make it an endless chain. The point of view of reproduction is obscured by the obviousness of production. As well as reproducing means of production, capitalism needs to reproduce labour power – in other words, to keep turning human beings into ‘workers’, and to reproduce relations of production, meaning relations of exploitation (the subordination of workers to capitalists). The reproduction of the relations of production is carried out mainly by ideology. The ISAs carry out this reproduction behind the “shield” provided by repression. The repressive apparatus is portrayed as forcing the ISAs to base their practices on the ideas and themes rendered dominant by the ruling class, and as acting against a residue of ‘bad subjects’ who have not been correctly subjectified by the ISAs. Between them, the ideological and repressive apparatuses sustain the reproduction of capitalism. The autonomy of the infrastructures allows them to express clashes in the class struggle as well as expressing the imperatives of capital. In the last instance, however, the state uses repressive power to make sure the ISAs are functional. Think of measures such as OFSTED inspections and school closures, Parenting Orders, D-Notices, superinjunctions and so on, the Egyptian state shutdown of the internet, or the speed with which much of the internet lost its “neutrality” in the case of Wikileaks. Think, also, of periodic scares directed against certain Muslim clerics deemed not to reproduce the dominant system. Althusser analyses ideology as the product of a particular set of social institutions, or “apparatuses”. Capitalism is structured into three levels: the economic infrastructure and two superstructures, the political state and ideology. Althusser rather confusingly refers to all social institutions outside of direct economic production (including religion and the media) as State apparatuses. This follows from an unconventional use of the term ‘state’ derived from certain passages in Gramsci, and traceable to Hegel, in which “state” means something akin to “dominant social system” (rather than something closer to “government” or “public sector”). Althusser claims that apparently private institutions are part of the state because the public-private divide is itself internal to bourgeois law. Whether they are state apparatuses is defined by their function rather than their formal status. State apparatuses can thus be divided into repressive and ideological state apparatuses. The political state is primarily repressive, using violence in the interests of capital (though it also uses ideology, for instance in the legal and party systems). Ideology is also for Althusser created by state apparatuses, but of a different kind from the repressive apparatuses, a kind which functions mainly by ideology (though also using repression in forms such as discipline). The ideological state apparatuses (ISA’s), unlike the repressive state apparatuses, appear to be distinct, autonomous institutions; they include institutions such as religion, education, the family, culture, trade unions, the media, the political party system, sport, and the legal system. While diffuse, they are unified by their subordination to ruling-class ideology – they are unified functionally rather than organisationally. They are also, however, sites of struggle, as their diffusion leaves them open to contestation. They vary in importance over time: whereas the Church was the main ISA in medieval Europe, in capitalism the main ISA is educational. In spite of this, their basic role is of a single kind: they promote ideology. Social institutions are thus analysed functionally. The education system, for instance, teaches future workers the rules of the class system (such as submission to the boss), and skills used at work (such as literacy). It reproduces submission to the ruling ideology. Althusser seems especially to be thinking of the hidden curriculum, referring to the teaching of docility to students turned out at lower levels and arrogance to those turned out at higher levels. Today, the hidden curriculum is often in contradiction with the explicit content of education. The school is treated as natural and neutral, and the majority of teachers have no idea that the system, ‘which is bigger than they are and crushes them’, is forcing or persuading them to do its work, often with all their heart. Only a few turn the school back against the system. Althusser’s theory of ideological apparatuses is, of course, controversial. Critics within sociology question whether these institutions perform an integrated ideological function. While there are reasons to be unhappy with a purely structural derivation of ideology, the functioning of institutions like the media and education as adjuncts of capitalism and the state is empirically beyond question. Keep in mind for instance the coverage of the student protests and the actions of Nottingham University as an adjunct of the security state. That there is a ‘dominant ideology’ is fairly clear from the homogeneity of certain prevalent themes, for example the ‘moral breakdown’ discourse involved in moral panics. This said, it is unclear from Althusser’s account how and why the apparatuses convey capitalist/statist ideology in spite of their organisational autonomy. What is needed beyond Althusser – and provided in part by authors such as Foucault, Illich and scholars of “news values” – is a clearer sense of how capitalist imperatives are translated into specific institutional functioning where no direct command relation exists. It seems that, in many cases, an organisation can pursue its own autonomous logic and function for capitalism, because it is applying standards of capitalist origin: performance and discipline criteria in schools, criteria of newsworthiness which encourage scaremongering, and so on. One of the strange things about Althusser’s theory is that, in relation to much of the welfare state it has almost become uncontroversial at the same time as being rejected. In Althusser’s day, the only people arguing that universities were an extension of capitalism were Marxists. Today, the idea of such a link is openly professed by policymakers. It is as if ideology critique is no longer necessary – the system now declares openly what it’s doing! It’s almost as if capitalism has suddenly stopped pretending that schooling, university, families and so on should be about anything other than producing conformity to the system. Universities, schools, the benefit system and so on are openly treated as apparatuses for serving capitalism or inculcating capitalist values. Yet there are other fields, notably the ideological legitimation of state repression, which are still very much concealed, even if it only takes a find-and-replace switching “dominant system” for “society” to reveal the ideological nature of such discourses. People who carry out authoritarian parenting or schooling, or support draconian anti-“crime” crackdowns, think they are preventing moral decay or interpersonal harms, not functioning as supplementary assemblages of capitalism. In fact they are functioning as supplementary assemblages, responding to a sense of their own interpellation as capitalist subjects, but the transmission of commands or “hailings” from the system to its authoritarian supporters is largely unconscious: they directly feel the pull of the call for more discipline in families, the latent fear mobilised by the latest scare, the sense of being responsible for moral decay if they don’t act in the prescribed way, and the desire to identify with the good subjects rather than feel the risk of being labelled among the bad ones. Yet they don’t realise this is what’s happening, they think they are spontaneously arriving at such conclusions as a result of empirically perceived realities, that they are simply preparing their children for the world or protecting them from drugs or crime. Ideology is borne indirectly by the way such people perceive society, subjectivity, moral values, and so on. It is the reason they often say things they think are their own opinion, but which are copied directly from slogans in the media and politics. This cannot be the whole account, however, because it does not explain why some people react in this way and some do not. Nor does it explain the overwhelming fear which drives people into authoritarian attachments. For this, Althusser would need to be supplemented with theorists such as Wilhelm Reich. Does this mean that there is nothing but ideology, that everyone is necessarily trapped within ideology, and that ideology is inescapable? Does the theory of ISAs mean the economic base determines how institutions such as education operate? This is not exactly Althusser’s position, but the articulation of his basic structuralism with other aspects of his theory is tenuous at best. For Althusser, ideology has no outside on its own terms, but from the viewpoint of science, it is nothing but outside. Science consists of a standpoint which is objective, and therefore escapes the contours of the formation of the subject. 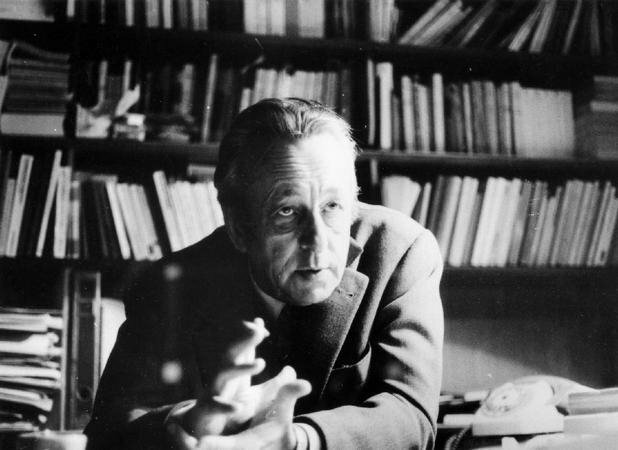 Althusser does not primarily mean empirical science, which he says gives rise to a “spontaneous ideology of the scientists”, but to Marxist theory (if done in a structuralist and psychoanalytic way). Revolutionary activity must be directed from science against ideology. Since the way people spontaneously think and see themselves is taken to be an effect of ideology, Althusser is opposed to ideas of self-activity which imply spontaneity or self-presence. This can give his theory an authoritarian bent. For instance, he is a big fan of the practice of ‘self-criticism’ in orthodox Leninist parties, through which people are required by the collective to renounce their past positions. Self-criticism is taken to transcent ideology towards science. To complicate matters further, Althusser also sees ideology and the ISAs as fields of struggle. Sometimes, subordinate classes alter the functioning of ideology through such struggle. This suggests that subordinate classes have some source of agency (probably in their objective life-conditions) which sometimes counteracts the influence of ideology. Yet if people relate to their real conditions through the frame of ideology, it is unclear how such an alternative locus could emerge Then there is the question of ‘bad subjects’. Most subjects function within the system by themselves, but some, ‘bad subjects’, are instead attacked by the repressive apparatuses, precisely because they have not been successfully subjectified. There must, therefore, be some point within the otherwise closed system at which interpellation can fail. Indeed, Althusser doesn’t really see the various social apparatuses as obeying the dictates of the economic base at all, though he also does not see them as entirely independent. This is expressed in the two concepts of ‘relative autonomy’ and ‘determination in the last instance’. In general, Althusser treats the different levels as de facto autonomous, and believes influences occur between all the levels. Some of the superstructures are ‘relatively’ autonomous, and function by their own logics (they have, in Althusser’s terms, their own ‘essences’). But in the last instance, they are determined by the economic base, the ‘determinant instance’. The repressive state apparatus is not autonomous as it has its own central command, but the absence of command integration among ISAs renders them relatively autonomous. Another aspect of relative autonomy is that the repressive apparatuses restrict the autonomous development of the ISAs (see above), though this does not explain how the former are kept in check by the base. The view of relative autonomy and determination in the last instance is counterposed to the idea of a simple essence-appearance or dichotomy, in which the economy is the essence or ‘truth’ of the superstructures. It is counterposed to the view of the economic base as the sole determining factor. Althusser claims that the last instance predominates over time, but that it is never actually found in any single moment or instance (it ‘never comes’). It always coexists with other forces. The ideologies promoted through the ISAs, and those which oppressed groups manage to defend in or against them, ‘come from elsewhere’; they are not born in the ISAs but in class struggle (which as a site of underlying antagonism, is arguably for Althusser equivalent to the Lacanian Real, the fundamental void created as a residue or ground of subject-formation). This would seem to suggest there is some force acting on individuals aside from their ideological subject-positions via the economic base, viewed by Althusser as conditions of existence, experiences of struggle, etc. In relation to later discourse theorists such as Foucault and Spivak, this seems rather problematic: how can a person who experiences her or himself as an ideological subject, also experience struggle and life-conditions in a frame not resulting from this subjectivity? It is also possible that Althusser conceives of class struggle as an internal rather than external rupture: it expresses the contradiction within capitalism between the forces and relations of production. This leaves it rather ambiguous how a revolutionary rupture could occur. In addition, given that it seems to be the integration of the overall system rather than the base in particular which integrates the system overall, the ‘last instance’ seems largely unnecessary to the overall theory. Why is the base still determinant in the last instance? One might suggest, rather, than ideological constructs actually determine transformations of economics and form the ‘last instance’ determining the base, or that reproduction is actually primary over production. It seems the system, as a functional totality, can be reconceived in any of these ways. Althusser’s theory of relative autonomy is also relevant to his theory of revolution. For Althusser, revolutionary breaks occur at the point where contradictions are most intense, as in Lenin’s idea of the “weakest link”. It is not just a question of the contradiction between capital and labour, but of the instability of the entire context, its ideological and repressive apparatuses for example. While the capital-labour contradiction is sufficient to create a generally revolutionary situation, it is not enough to bring about revolutions. Revolutions come from a ‘ruptural unity’ of forces drawn from an accumulation of different circumstances and currents. These forces are heterogeneous, yet group themselves together as a kind of accumulation of contradictions. One might think here of an anti-capitalist protest, where ecologists, labour groups, anarchists and single-issue campaigners might be found in struggle together, or an event such as the upheavals in Egypt, where “leftists and liberals and Muslim Brotherhood discuss and sing and eat together”. The whole of a situation is reflected or concentrated in a vivid moment, as each specific contradiction or issue is displaced onto a single event. Such unification across causes has been frequently observed, and is often analysed by in terms of ‘alliance’ politics, political opportunities, or ‘hegemony’. Althusser believes, however, that such unification is more than a marriage of convenience or even a common single cause. He believes that it is driven by the force of the underlying capital-labour contradiction and the resultant fact that a particular historical period is revolutionary. In the summit protest wave, this might be conceived as the end of the Washington Consensus; in the North African wave, as the terminal crisis of a series of regimes born of post-war Arab nationalism, which have lost both their affirmative force as mobilising doctrines and their ability to maintain clientelist relations – the crisis of a particular regional insertion of capitalist power. For Althusser, the diverse specific contradictions all derive ultimately from the capital-labour contradiction, but indirectly, through the relatively autonomous spheres: the superstructures, the relations of production, the international conjuncture and so on. Their unity in the revolutionary rupture reveals their real common basis or ‘nature’ as inseparable from the contradictions of the total situation. Specific issues are always ‘overdetermined’ by the last-instance contradiction. The term ‘overdetermination’ is borrowed from psychoanalysis, and means that, even if something is sufficiently determined by its overt content, it also carries an excess energy derived from the latent content of the unconscious. It means that something can be explained in several ways, each of which would be sufficient in itself, but all of which are needed to make sense of it. For instance, the fact that someone is angry with their boss can be sufficiently explained by their actual work-conditions, and/or by their alienation in capitalism mapped onto its local agent, and/or by their projecting onto their boss an earlier rebellion against parental authority. Any one of the reasons would be enough, but all three are at work simultaneously. ‘Overdetermination’ is counterposed to simple determination (for instance, the view of superstructures as simply reflecting or determined by the base). Althusser rejects what he takes to be the Hegelian view of the social system as a closed system, an ‘organic totality’, in which a single internal principle is actualised in each of its specific institutions, or ‘determinations’. The basic contradiction is always ‘overdetermined’ by the effects of various relatively autonomous fields. The contradiction between capital and labour is not a simple contradiction, but necessarily goes by way of specific historical forms and circumstances, particularly those of the ideological and repressive apparatuses – the “superstructure”, and the historical legacy and current formation of a particular national context and of the global situation (such as effects of uneven development) – the “national and international conjuncture”. These fields are largely autonomous, with their own internal dynamics. Overdetermination can either block the expression of a contradiction or push it to a revolutionary rupture. Overdetermination has the effect of introducing a distance between the abstract case of a capital-labour conflict and all actual historical events. Hence, revolutions and other events are always ‘exceptions’, in relation to the abstract idea of a basic antagonism. Furthermore, a seizure of state power or an economic transformation does not fully bring down the old order, because the ISAs and the conjuncture may remain the same as before. This said, the idea of an underlying contradiction expresses a certain unifying force which renders the combinations of issues non-arbitrary. In interpreting situations, Althusser assumes a certain essential unity of the situation around the “last instance”. Difference can ultimately be reduced to sameness, though only with an awful lot of mediations. This is a major difference between Althusser’s theory and those of related scholars such as Ernesto Laclau, for whom the unification of struggles is necessarily contingent. The Althusserian theory of the ‘last instance’ is deeply problematic, in that this ‘instance’ seems to lack specificity relative to other forces. It is true, however, that revolts often concentrate different forces with different specific issues or demands. The unification is not entirely arbitrary, but amounts to recognition of the causality of the social system in relation to each of the problems. It is often the case that dissidents recognise some kind of dominant system which they are fighting against. Yet Althusser goes too far in theorising this system as an integrated totality, treating it as a closed system with no outside except of its own creation (As argued above, in Althusser’s theory, labour is not necessarily an “outside”, but an internal contradiction, a bearer of the “forces of production” in excess over the “relations of production”, or a kind of interior lack which resubjectifies people as bad subjects). This way of conceiving social power exaggerates drastically the ability of a dominant system to actually capture or reshape the full range of subjectivities and desires. What implications and problems arise from Althusser’s theory in relation to the contemporary context? One of Althusser’s most important contributions was to focus attention on the importance of reproduction in capitalism. The emphasis on reproduction is taken further by autonomous feminists and post-development theorists, and has inspired important developments in theorising the relationship of capitalism to emerging issues in feminism, ecology, post-development and other ‘new social movements’. The 60s rebellions were in many ways focused on resisting the reproduction of capitalism, forcing changes which loosened the rigidity of apparatuses such as the family. Capitalism was to initiate a backlash against these changes, yet certain effects are still being felt. Today there is a crisis of reproduction of labour-power, as wages have fallen below levels which sustain reproduction. There is a sustained population decline in core countries and global cities which is only counteracted by migration from marginal areas with subsistence economies. In short, capitalism seems to be failing to meet its own reproduction needs, relying on marginally-integrated “outsides” to do so. One of the difficulties with synchronic theory is that it exaggerates the unity between different social logics within the dominant system. The role of the state tends to be simplified, because it is viewed as serving the needs of the capitalist system in general. It is unclear how the needs of capital are conveyed to the state, and it seems to simplify the state’s own interests and dynamics to treat it in this way. It makes more sense to see the state as an autonomous social logic, but one which capitalism needs (or at least uses) to perform certain functions. This has unhelpful political implications. Not viewing the state as having its own social logic supports the view that the state can simply be seized and then transformed by oppressed classes. If anything, the view that ideological apparatuses and subjectivities will persist “after the revolution” increases the role of the state in a post-revolutionary society. If the state turns out, however, to be irreducibly alienated as a social logic, its reproduction and expanded use will only intensify alienation, even if it destroys capitalism specifically. Theorists drawing on Althusser also tend to have difficulty dealing with the status of what I term “reactive networks” – groups orienting to hierarchical ideologies, but often counterposed to the dominant system organisationally (e.g. ethnonationalist and religious movements). These groups often reproduce elements of the dominant ideology (particularly its authoritarian elements), but articulate such elements with discourses of resistance (for instance, sharp opposition to the current power-holders and the current composition of capital), and with an organisational form which has more in common with autonomous social movements than with states (though usually with a hierarchical core). Althusserian theory seems to offer us three ways to conceptualise such movements – either they are simply ISA’s (implausible given their antagonistic non-integration), or they are simply resistance movements (implausible given their reproduction of the dominant ideology), or they are terrains of contestation between the two (implausible given their ideological rigidity and the high degree of integration of the pro- and anti-system discursive tropes). In order to make sense of such movements, it is necessary to recognise that something can have a social form other than that of either the dominant system or its radical negation. There is another worrying effect which may have arisen from Althusser’s overly extensive view of the totalising power of the dominant system. Many of the Althusserians – such as Laclau and Castells – transmuted into Third Way authors in the 1980s. On the surface, this seems strange: of all the Western Marxist theorists, Althusser is one of the most sectarian. But perhaps Althusser’s sectarianism was a way of warding off the conservative and managerial implications built into his theory. Althusser’s theory could link to the Third Way, because of the way it assumes a priority of ideology over individuals and because of its elision of resistance. If capitalism cannot be overthrown, and we cannot escape our interpellation as subjects, why not make the most of the situation by using one’s structural awareness to play the system? Why not, indeed, use the mechanisms of interpellation and ideology to create a better-functioning version of the system with oneself at the top? Why not explicitly use the whole of society as a set of apparatuses led by the state, in order to realise capitalist goals such as national productivity? One need not be constrained in this by individual rights, since the individual is simply a delusional effect of ideology; nor should existing institutions or relations be sacrosanct, since they are simply apparatuses of power which can be assessed by their functionality. In other words, by taking Althusser and stripping out his belief in revolution, one is left with a project of managerial social engineering – which is exactly what Third Way theory amounts to.